You may be working on the company Jira during the day, posting and chatting on Instagram at night – all from the same computer. You may be using your personal computer to work from home, or taking home your work laptop to have some fun over the weekend. Wouldn’t it be awesome to separate your work and personal identities on the same computer? That’s exactly what we had in mind when we brought in User Profiles in Vivaldi 2.4. 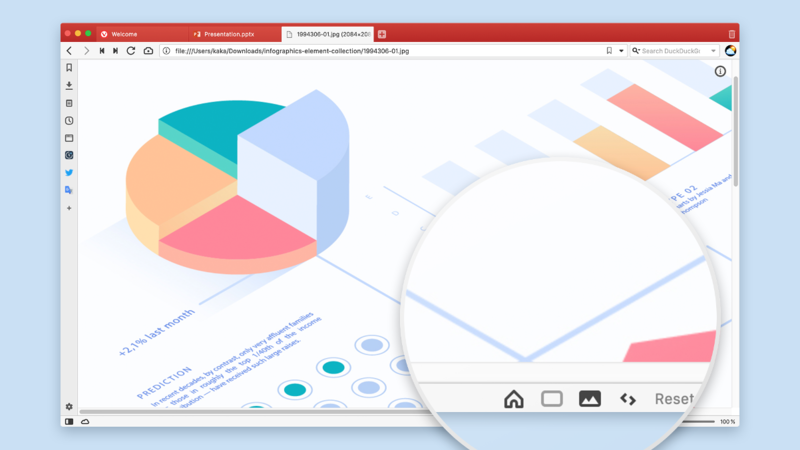 User profiles allow multiple “users” to share one Vivaldi installation without logging into a different operating system user account, or the need to maintain multiple standalone installations of Vivaldi. Each profile can have a different set of extensions, bookmarks, Speed Dials, cookies, browsing history, and more. You can also configure the browser to behave differently for each profile. #1 First things first. If you want to separate your work and personal identities, start by tweaking Vivaldi to look slightly different in each profile. Say, you go for one of the more subtle themes at work (like “Subtle” or “Vivaldi”), then pick something bold and individual for your personal profile – why not the aptly named “Beach”? #2 Now switch your attention to those Web Panels. At work, you might be using Timely, Twitter or Google Translate. At home, this space is perfect for your Instagram, Pinterest, and Pocket. If you use different accounts on social media channels when you are at work and at home, you can log in different users in each profile. 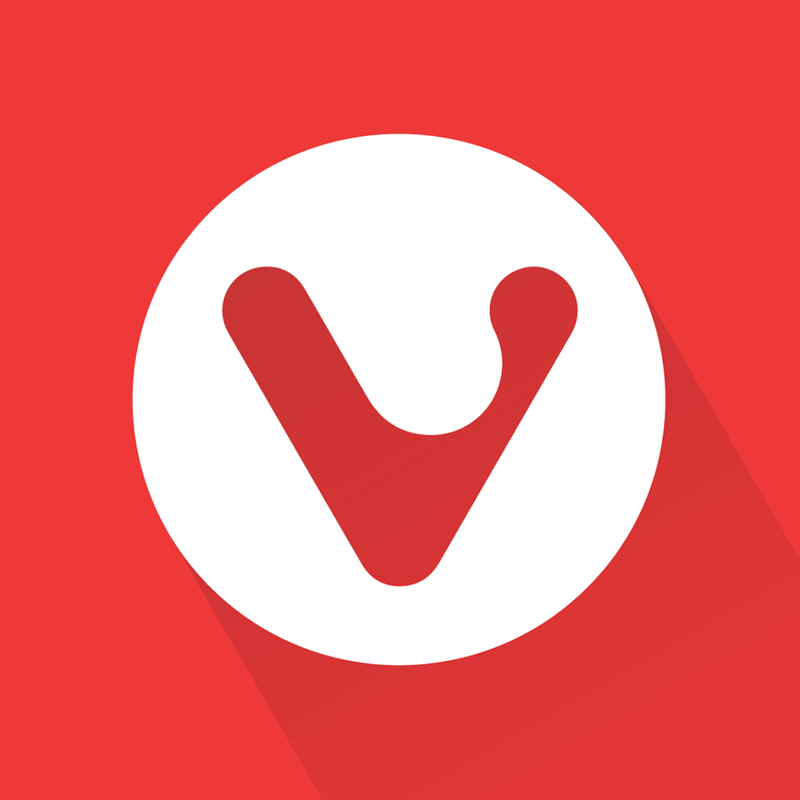 #3 In Vivaldi 2.4, the Address and Status Bars can be customized. Use that to your advantage! If you’re married to the Capture tool at work, move it higher up to the Address Bar. Conversely, if you don’t have much use for the Home button, place it on the Status Bar. At home, move the Address Bar to the bottom to differentiate between work and personal windows, and toggle off the Status Bar to get more screen real estate. #4 Set different default search engines at work and at home. 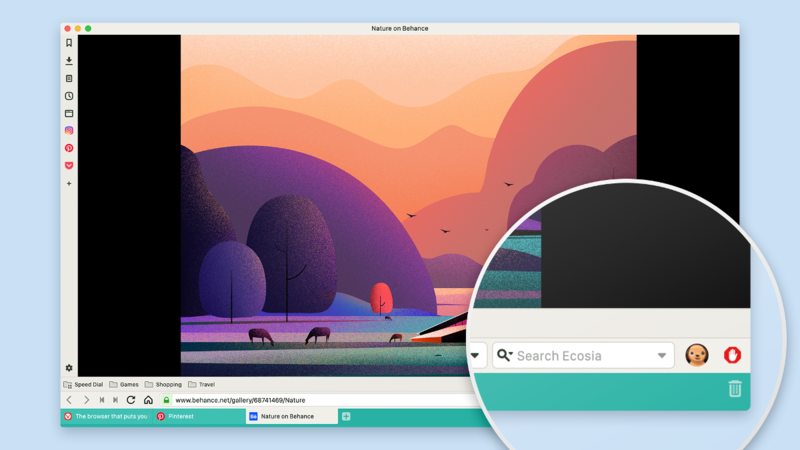 Why not try DuckDuckGo or Start Page at work and Ecosia at home? #5 At work, keep your bookmarks and tabs limited to work, so you don’t get distracted by personal stuff – obvious, but worth saying anyway. At home, move your Bookmark and Tab Bars to the bottom to differentiate from your work setup. #6 Now let’s look at those extensions! You may need more extensions at work than you need at home. No problem! Keep the number of extensions to a minimum at home – perhaps a good ad blocker is all you need for personal browsing. #7 Speed Dials help you organize your space. At work, you can have your email along with other work-related resources such as Github, and news sites you check for work, e.g. The Verge. At home, keep your private email on a Speed Dial, along with your favorite shopping sites. Yeah! That’s managed through the Profile button in the top right corner of the browser window and clicking on “Manage Profiles”. Alternatively, go to Settings > Address Bar > Profile Management and click on Manage Profiles. You can add a new person via “Add Person” in the bottom right corner of the Profile Management window. Find out more about managing user profiles on our Help pages. So, there you have it! No need to build a wall between your work and personal life where better browser management will do. Enjoy!